To be perfectly honest, I haven't done much "high-fiving" this week. The over-worked, anxious, and exhausted husband, the sick kiddo, and the cursed tooth forcing us to subject the other kiddo to unpleasantries like oral surgery and orthodontia have weighed heavily on me throughout the last seven days. On top of that, a number of people I love are struggling - in ways I can't fix - right now. My heart aches for my husband, my kids, and these wonderful friends and extended family members. 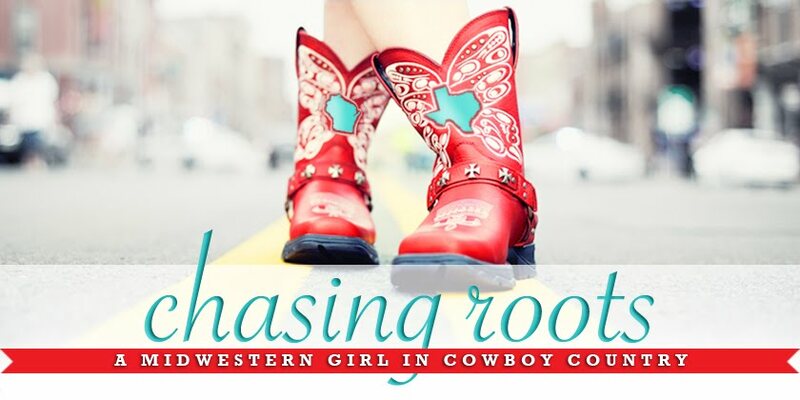 I've learned from experience, however, that I always feel much better when I "force" myself to find - and then share, via pictures and videos here on Chasing Roots - the good. So here are a few of the stories, photos, and videos that made my world seem a bit brighter this week. They all gave me a reason to look up. 1. Speaking of looking up, I simply adore these Up-inspired photos. 3. Just as Will inherited his cold weather and snow-related craziness from me, I inherited my cold weather and snow-related craziness from my dad…here he is, last weekend, carrying on the swimsuit snow angel tradition. 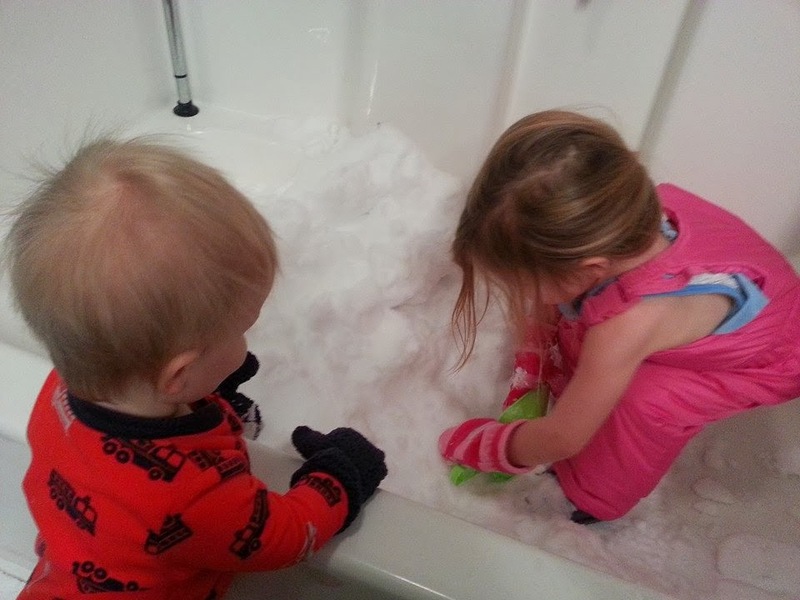 Yep, that's multiple shovel-fulls of snow in the bathtub. 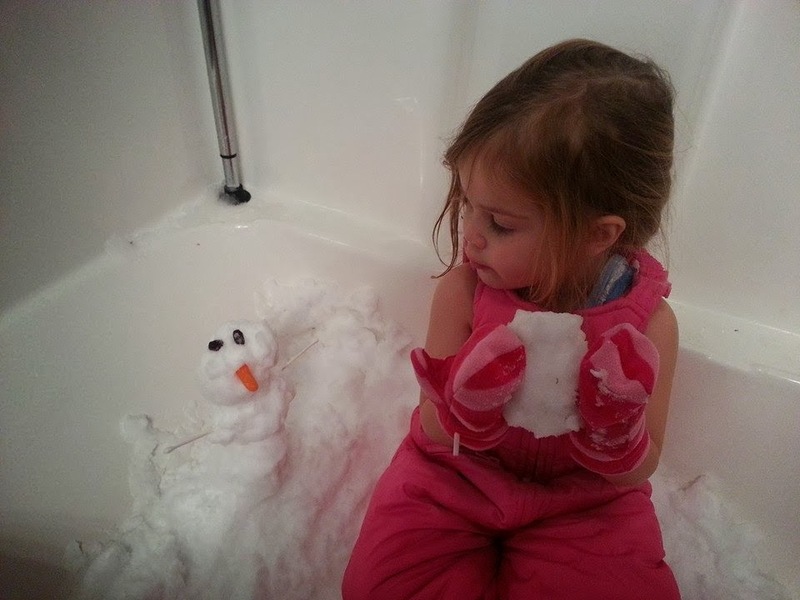 Clearly the idea went over well with both kids, who spent as long as a three-year-old and a one-year-old can stay focused on anything building snowmen (you can see Olaf in the second picture) and eating snow. 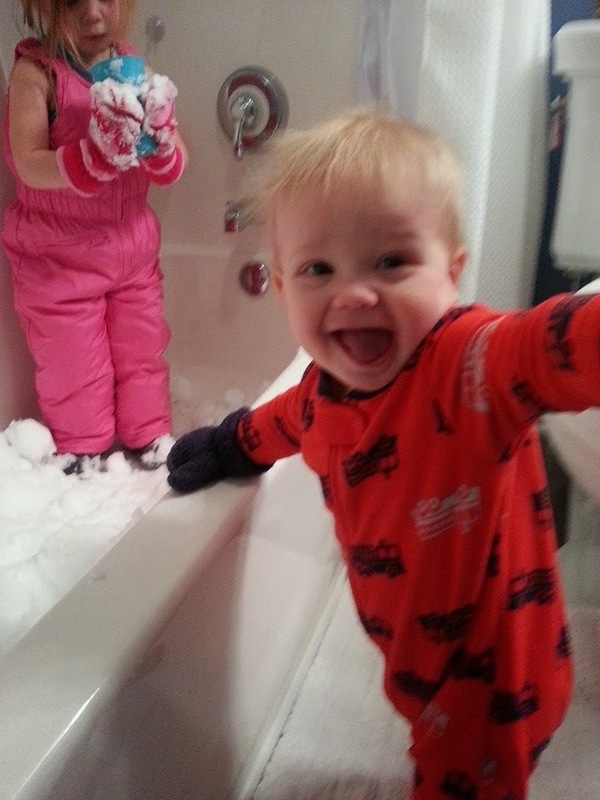 Perhaps my favorite part of all this is the fact that Lily is wearing snow pants and mittens…and no shirt. 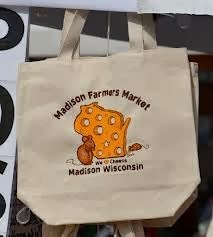 Now there's a Midwestern girl. 5. And lastly, whenever I need a little cheering up I watch Saturday Night Live cast members break character. These clips never fail to drag a laugh out of me. 2013 Resolutions: What Went Wrong?